Motorists travelling on the A483 northbound are facing long delays this evening, with traffic at a standstill near the Posthouse Roundabout. It is thought the delays have been caused by emergency repair works. 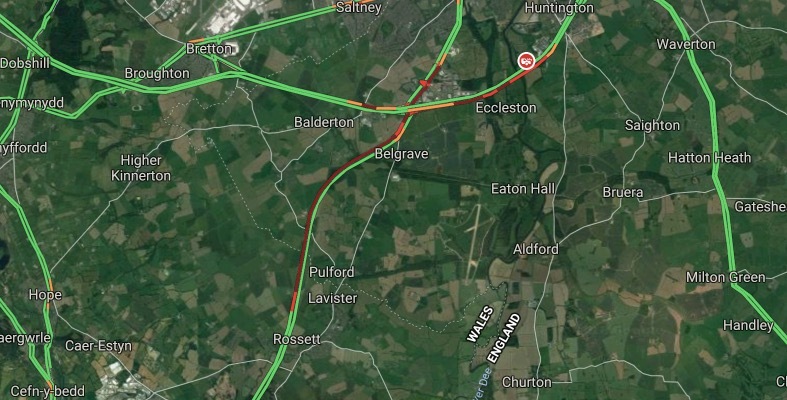 As a result traffic is backing up from Rossett towards the Posthouse Roundabout, with the A55 eastbound and westbound also being affected. Details provided by Traffic Wales state that normal traffic conditions are expected between 8:15pm and 8:30pm.